Guarantee an even finish with our drainer groove wheels. Our drainer groove wheel set gives you consistent and professional worktop drainer grooves. 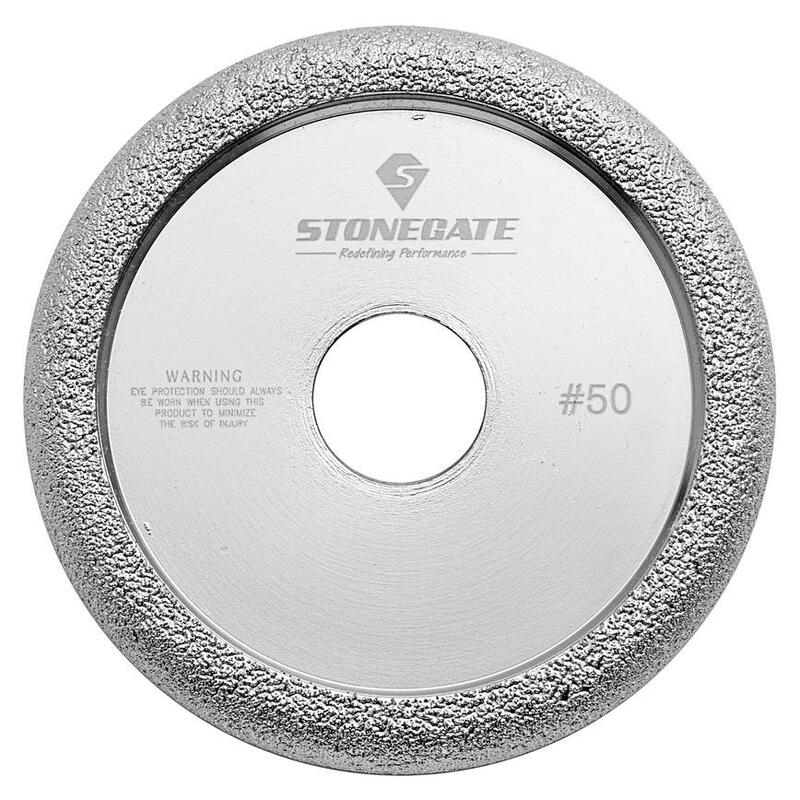 The drainer groove wheel vacuum is a brazed 50 grit for initial groove creation while the set of six polishing wheels buff the surface of the grooves to create a polished finish. The set contains 100#, 200#, 400#, 800#, 1500#, 3000# diamond resin grits for progressive polishing for the finest finish. All drainer groove wheels are 12mm in diameter.